The 17th edition of the Asian Games are now officially open. The Indian has set a target of 70-75 medals. All the participants will be boosted by their performances in the recently concluded Commonwealth Games. With 36 disciplines, 45 countries, 49 venues, 439 gold medals at stake, the Asian Games kicked off with a grand opening ceremony at Incheon, South Korea. Jitu Rai gives India first gold by won 50m air pistol​ event. The 17th Incheon Asian Games, officially known as the XVII Asiad is the Pancontinental multi-sport event that is all set to kick start from September 19 – October 4, 2014. The 2014 Asian Games is scheduled to take place with 45 nations participating in Incheon with 439 events in 36 sports and disciplines set to feature in the Games. With Incheon, this will be third time South Korea will be hosting the Asian Games after Seoul in 1986 and Pusan in 2002. 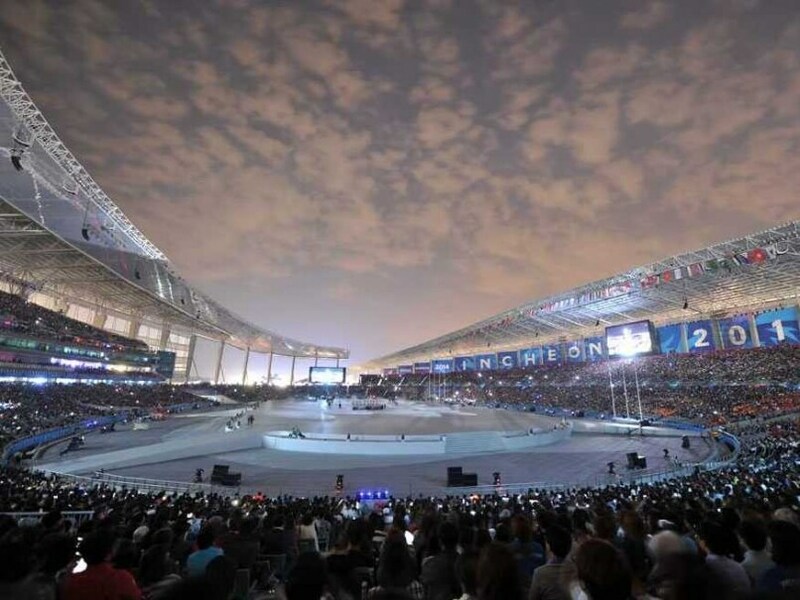 The fixtures of the Asian Games 2014 starts with the opening ceremony scheduled to take place on September 19, which is expected to be mix of Korean traditional culture with the modern technology. The closing ceremony will take place on October 4. 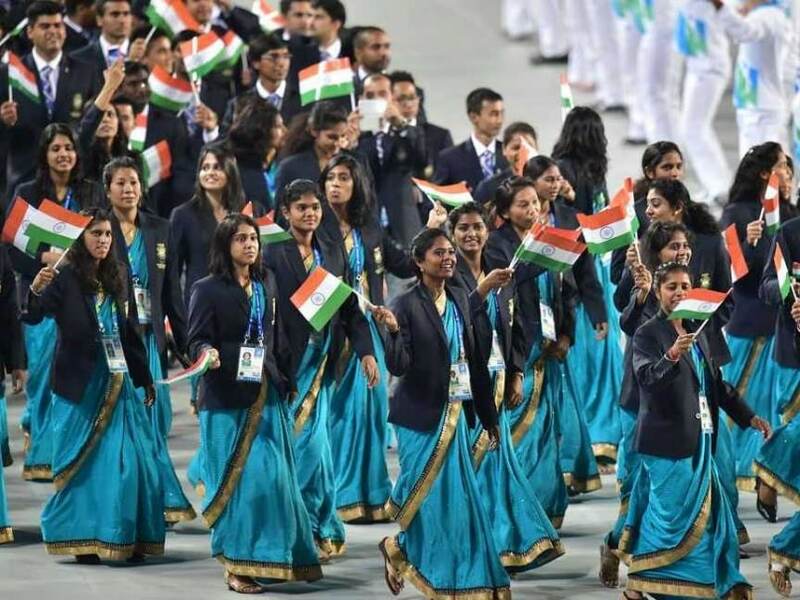 India is being fined a sum of at least 10,000 USD for withdrawing from seven sports at the last minute from the Asian Games being held in Incheon. Historic day for Iran as their shooters Najmeh Khedmati won the gold with a score of 207.9 and Andevari Narjes Emamgholinejad hits a total score of 206.6 to bag silver medal. Indian women spikers lose continued to Japan in Asian Games Today. As they were blanked 0-3 by Japan in their second Group A preliminary Round match at the Ansan Sangroksu Gymnasium here. The Indian eves, who were thrashed by hosts South Korea in the opening game, were yet again no match for the Japanese as they crushed the Indian challenge 25-6 25-11 25-12 in a 56 minute tie. Indian shooters Heena Sidhu, Rahi Sarnobat and Anisa Sayyed win the fourth bronze for India. They won the bronze medal in 25m Pistol Women’s Team event finishing third behind the teams from Republic of Korea and China. With this medal, India’s medal tally moves up to 5 including 1 gold and 4 bronze medals. The bronze medal by shooters Heena Sidhu, Rahi Sarnobat and Anisa Sayyed is also fourth medal in shooting out of the 5 medals won so far with the one coming from Indian women’s badminton team. Star Indian shooter Abhinav Bindra brought the curtains down on his competitive career with two bronze medals while Saurav Ghosal had to be content with a historic squash silver as India maintained 13th position after the fourth day of competitions at the 17th Asian Games here today. Rower Dushyant gets bronze. He was only the bright spot after the shooters drew a blank. Indian rowers notch up 2 bronze medals, while the unfancied women shooters added another bronze as India maintained their 15th position in the overall standings with a tally of 15 in the 17th Asian Games here on Thursday.